Public trust and confidence in the police have remained flat for several decades despite a declining crime rate in the U.S., a problem that has become especially salient in the wake of recent police shootings of unarmed black men. 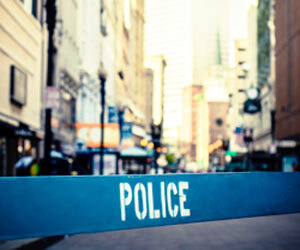 A new report brings psychological science to bear on policing, providing an in-depth analysis of the factors that drive public trust and law-related behavior. The analysis shows that policing practices focused on respectful treatment and transparent decision making are likely to be more effective than traditional punishment-based strategies in building public trust and encouraging cooperation with the police. 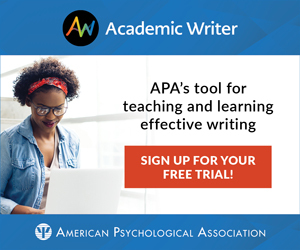 The report, authored by psychological scientists Tom Tyler (Yale Law School), Phillip Goff (University of California, Los Angeles) and Robert MacCoun (Stanford Law School), is published in Psychological Science in the Public Interest, a journal of the Association for Psychological Science. The report is accompanied by a commentary authored by economist Philip Cook (Duke University). Tyler, Goff, and MacCoun focus their report on the concept of police legitimacy, which is shaped by the perception that police treat people with respect and fairness. They argue that many widely used policing practices, which are often seen as unfair, have compromised people’s view of the police as a legitimate legal authority, particularly following the deaths of minority men at the hands of police officers. “In the wake of such deaths, the public has been increasingly unwilling to accept police accounts of such events, to believe that the police will investigate them in good faith, and to wait until such investigations are completed to react individually or collectively,” says Tyler. In the report, Tyler, Goff, and MacCoun review available scientific research on the relationship between legitimacy, trust, and law-related behavior. Examining analyses of data from the United States and Europe, the researchers find that when people view the police as a legitimate and appropriate legal authority, they are more likely to defer to the police in personal encounters and to cooperate with the police when asked to. Furthermore, people who view the police as legitimate are more likely to comply with the law in their everyday lives, and they’re more apt to help co-police their communities, report crime, identify criminals, and act as witnesses and jurors. Public Participation: Involving the broader community in the development of strategies for managing social order encourages public acceptance and buy-in. Neutrality: Engaging in transparent, rule-based decision making demonstrates that policing policy and practices are fair and unbiased. Respect: Treating citizens with dignity communicates to them that their rights are being respected. Trustworthiness: Showing sensitivity to people’s needs and concerns indicates that the police are sincerely trying to do what is best for those involved. “Psychological science can play an important role in the process of creating evidence-based policies and society can benefit from the incorporation of such evidence into policies and practices of legal authorities,” says Tyler.